1. Developed methodology for Planning Sustainable Management of Medicinal Plants in India and Nepal, covering seven medicinal plant species namely Cinnamomum macrocarpum, Vateria indica, Garcinia gummi-gutta, Decalepis hamiltonii, Limomia acidissima, Azadirachta indica, Gymnema sylvestre – a collaborative project of Environmental Change Institute, University of Oxford, Forestry Research Programme of DFID, UK and Forest Action, Nepal. 2. Coordinated establishing 32 Medicinal Plants Conservation Areas in Madhya Pradesh, Rajasthan, Orissa and West Bengal and developed sustainable harvesting practices for 17 species and field implemented in Tamil Nadu, Madhya Pradesh and Karnataka under the project “National Programme on Promoting Conservation of Medicinal Plants and Traditional Knowledge for Enhancing Health and Livelihood Security” supported by UNDP and facilitated by MoEF &CC, Government of India. 4. Designed, developed and field implemented sustainable harvesting protocols, Value Addition and Marketing facility for 33 species of conservation concern and high traded Medicinal Plants in collaboration with State Forest Department of Karnataka, Kerala, Chhattisgarh and Nagaland, and National Medicinal Plant Board (NMPB), Government of India. 7. Designed and promoted unique training programme called “Community to Community Training (CTCT) – a horizontal and cost effective method of training on natural resource management for local community and prepared the manual on Trainers of Training (ToT) on NTFP resource management to integrate NTFP curriculum into regular and in-service trainings of State Forest Departments across India. • Kinhal G A and Jagannatha Rao, R (Eds), 2008, Adaptive management of medicinal plants and non-timber forest products – strategies, implications and policy. FRLHT and Bishen Singh Mahendra Pal Singh, Dehra Dun. • JR Bhatt, Jagannatha Rao R, GB Deepa, DK Ved and Darshan Shankar, (ed.) Planting Health, Rural Livelihoods and Education– A Model Initiative for Conservation and Sustainable Use of Medicinal Plants. UNDP India and MoEF-CC. In press. • Jagannatha Rao, R, Vishwanath, V., Venkateshwaran, R., Selwyn, M.A. and Ramakrishnappa (2007). Community management of forests in India: its impact on environment and livelihood. In: Environment and Sustainable Development Rasure, K.A. (ed.) Volume one, Serials Publications, New Delhi. pp. 133-145. 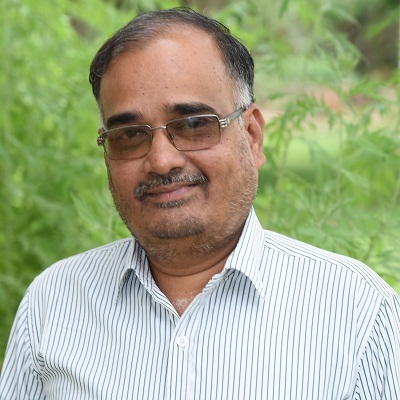 • Jagannatha Rao R, (2005), Role of self help groups in generating micro credits and linking natural resource Management in Karnataka: micro and macro level analysis, paper accepted for International Journal for Agricultural Resource Governance and Ecology, vol 5, No 4, pp 399 – 412. • Ramakrishnappa V and Jagannatha Rao R (2005), Emerging micro-finance issues in dairy development: a case study from Karnataka, India, paper accepted for International Journal for Agricultural Resource Governance and Ecology, vol 5, No 4, pp 399 – 412. • Jagannatha Rao R, (2000), Watershed – A model for efficient use of runoff water in rural India, Abstract, SIWI, Stockholm. • Murali K S, Jagannatha Rao R and Ravindranath N H, (2002), Evaluation of Joint Forest Management in India, International Journal for Ecology and Sustainable Development, Vol 1(2)pp 184-199. • I K Murthy, Bhat DM, Hegde G T, Nagaraj B C, Murali K S, Sangeetha G, Bhat P R, Shastri C M, Jagannatha Rao R and Ravidnranth N H (2005), Tree Diversity and Carbon Sinks: Role of village agro ecosystems in the Waster Ghats, Karnataka, India, International Journal of Agricultural Sustainability (IJAS), Vol 3 (2), 2005. • Murali K S, Jagannatha Rao R, Sudha P, Sangeeth G R, Indu K Murhty and Ravindranath NH (2003), Evaluation studies of JFM in India: Social and Institutional Implication, International Journal for Environment and Sustainable Development, Vol 2 (1) 2003 pp 19-35. • Murali K S, Jagannatha Rao R and Ravindranth N H (2003), Institutional and Policy Issues of Participatory Forestry: Indian Experience, Tropical Ecology Vol 41(1): 73-84. • Sudha P, Ramprasad, Bhat P R, I K Murthy, Jagannatha Rao, Hedge G T, Nagaraja BC, Shastry C M, Nagendra M D V, Khan H, Shetty D M, Hegde G N, Muruli K S, and Ravindranath N H, (2006), Forest protection and regeneration under joint Forest planning and management in Eastern Plains and Western Ghats of Karnataka, India, International Journal for Environment and Sustainable Development, Vol 5, No 1, pp 70-83. • Shastry G and Jagannatha Rao R, (2002), Emerging development issues in a hill-forest region, India, Indian Social Science Review, Vol 4 (2) July-December 2002, pp239-262. • Jagannatha Rao R and others, Participatory Science for Sustainable wild harvest – A methods handbook, (2008), Environmental Change Institute of University of Oxford, Forestry Research Programme of DFID, FRLHT, India and Forest Action, Nepal.